Berry lips. Picture from Nordstrom’s website. 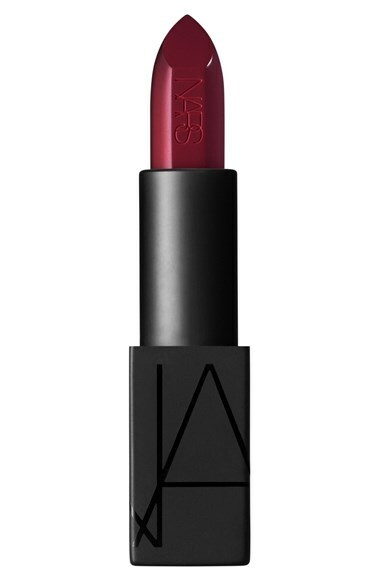 Nars Audacious Lipstick in “Charlotte” $32: Whew this is a pricy one I know, but the new NARS lipsticks are supposed to feel amazing on the lips and be long lasting. 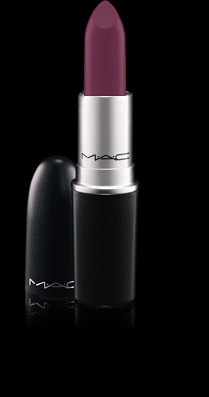 MAC Lipstick in Rebel $16: I love this color I think I might snag it soon or get it through Back 2 MAC. I just really want to spice up my lips with something a little bit different. An awesome drugstore option is NYX lipstick in Chloe which is $3.99. I actually bought this lipstick for Halloween last year, but I’m glad I busted it out again because I love this color, it applies easily, and it looks great. 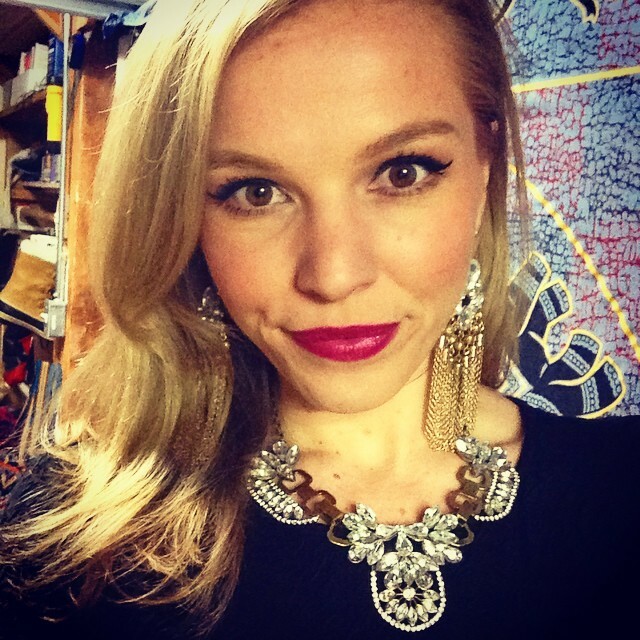 This necklace is from Fabuluxe Jewels. 1. Exfoliate your lips by rubbing them with a dry washcloth, brushing them with an old toothbrush, or rubbing a mixture of honey and any kind of sugar on them. 3. Take your time! It’s such a pain in the buns when you make a mistake with a dark lipstick it’s better to just take your time with the application. If you do make a mistake or want to make your lips look super sharp go around them with concealer to clean up the look and make it super sharp. 4. Try using a lip liner that’s slightly lighter than the lipstick so when your lips fade they won’t have that dark lipliner ring around your mouth look. 5. Don’t forget a compact mirror and the lipstick! The best lipsticks in the world are still going to fade after eating, drinking, etc. so unfortunately there’s no getting out of checking them every so often and reapplying. 2. Cool toned eye shadows: Warm tones are more orange/yellow/red based which create great bronz-ey looks for summer, and cool tones are based on blues, greens, pinks, purples, and gray which will bring us into fall and winter. I don’t like makeup rules so I think that people with warm undertones in their skin can wear cool tones and vice-versa. 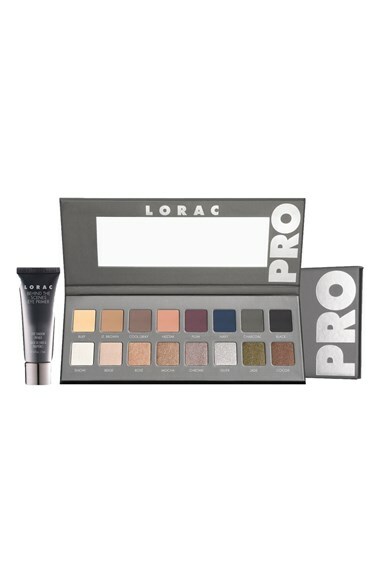 The Lorac Pro Palette 2 is $42 and super popular right now with a full range of gorgeous cool-toned colors and it has both matte and shimmer shades. I love the navy and think it would look awesome in a smokey eye for a really dramatic look. 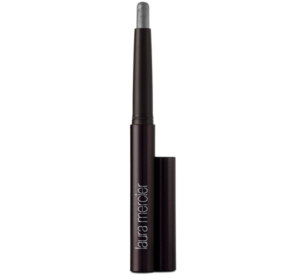 The Laura Mercier Caviar Eye Colours are $24 and are creamy eyeshadow sticks that provide great pigmentation and color payoff. They can be used as an eyeshadow base, an eyeshadow, or a liner. 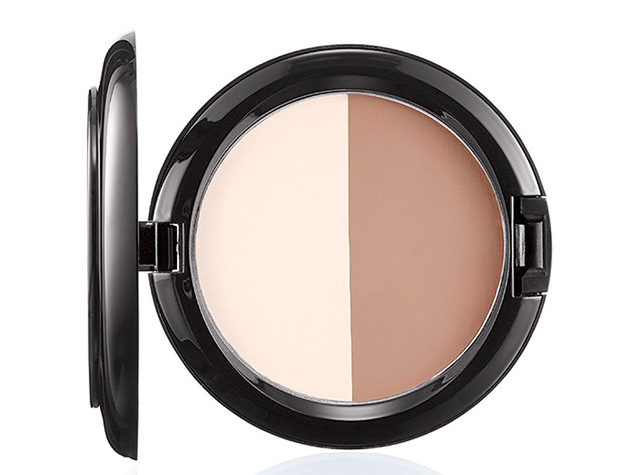 The MAC Rocky Horror Picture Show Collection Sculpt and Shape Powder in Bone Beige is going to be $27.50 and it includes the colors Emphasize and Sculpt I believe. I asked a MAC employee if they had Emphasize in stock and he told me to just wait for this little guy to come out because it is a great deal! Check out my post on How I Contour My Face. What fall beauty trends are you excited for?